Mr. Albrights Intro to Education class stayed very busy before Christmas coming up with Christmas crafts and ideas that could be used in an Elementary classroom. 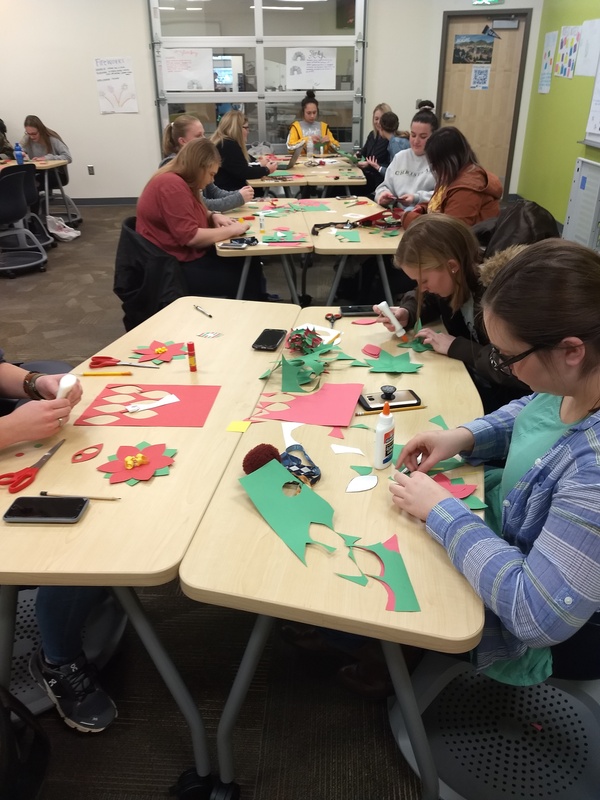 The students had a lot of fun making Poinsettias, Christmas Trees, and many other fun things to take to the classes they help with. It's always some fun thing going on in that class. Mr. Albright keeps them very engaged every class period.